You ask me how many-th time I am watching this movie? 'How many-th' is a puzzle from schooldays which I am yet to solve. The puzzle is - How do you ask the question for this answer? ' Indira Gandhi is the 3rd Prime Minister of India'. Now, how do you pose a question for that? In Malayalam we would ask- 'Indira Gandhi India-yude ethramatthe Pradhana Manthriyannu?' How you do translate that into English? No idea; do you ? But I am digressing. The movie that I have watched the most number of times, the one single movie that I would point out if you asked me which is the one single movie I wouldn't mind watching a hundred times - ONE SINGLE, ONE AND ONLY ONE - my unhesitating answer would be - 'While You were Sleeping'. And thats when I fell in love with Sandra Bullock - or Sandra Bullock as Lucy, the insignificant clerk in a Chicago Tube station. I don't know how many of you have seen it, but my frustration for a long time was that I could not get a VCD of that movie ( I never could download one - until K showed me the Torrent-Pirate Bay route. Even then I felt unclean, watching a pirated, free download). Sometimes I don't watch it from beginning to the end; I just go to the scenes I love most, esp., the last scenes at the wedding where Lucy says ' I was in love with you - with all of you' to the family. I am not ashamed to say that even after so many times, that brings a lump to my throat, my eyes well up; the couple of times K was around, he teased me like hell for the tears. I wanted to know why I love this Lucy so much. Of course, Sandra is a beautiful woman, though I don't care much for her jawline and nose. Not really my type; I go for the Audrey Hepburn Mia Farrow Meg Ryan kind - the un-arty, waif-ish, tomboy-ish types, who look so vulnerable and helpless, fine boned with small breasts and thin legs - the kind you see in Mills & Boon, the kind I would like to protect, say that everything is okay, your Big Balan is here to take care of you blah blah blah. Mulling over my love for Lucy - rather , trying to understand why I love this movie so much - I realize that I connect with Lucy in her loneliness. Lucy is an orphan - all she has is the memory of a father who died in a nursing home. Lucy works in a Tube station in Chicago and goes home- to a cat. By sheer coincidence, she gets this chance to be with a family - and such a jolly good family it is and that brightens up her days - and life; and falls in love with Bill Pullman. Lucy, like most of us, is yearning for love. Lucky Lucy, she finds it, whereas most of us still pines for the unfulfilled love. 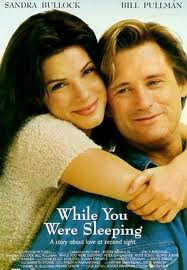 For film pundits, 'While you were sleeping' might be a movie to shrug off, a light romantic comedy, but to me it is an insight to the lonely lives of the modern world and how the warmth of love could bring sunshine into those lives. Life in 'While you were sleeping' is not very complicated; it has a few fumbles and stumbles, but OK, because the characters in the movie are - decent human beings. In fact, my friends, life is simple - but we make a mountain out of a molehill. We can make our lives simple and easy; but if it is not complex, we feel there is something wrong with us. All we need is love, the capacity to love others and you get it back. I am reminded of the movie, 'Scenes from a Marriage', by Ingmar Bergman. The characters are so like most of us, looking for love all the time, getting into affairs one after the other, but blind to the fact that unless you love yourself, you cannot love anyone else. To love oneself, one has to know oneself. To know oneself, one has to look within. Whatever maybe your warts, love yourself. With love, comes acceptance of the Is, the acceptance of self. So long as we are dissatisfied with ourselves, we will be dissatisfied with rest of the world. But then, we are always looking for love from outside and contort our minds, trying to squeeze into other people. Perhaps the reason I identify with Lucy/Sandra Bullock is that more than the common loneliness, we share the trait of finding pleasure in simple things. For Lucy, the ultimate dream is a ' stamp on my passport which says Italy' - for me it is that says 'Tierra del Fuego' or Chile or Argentina or Scotland. A friend of mine says that I am simple person, though the friend knows me only through my writing. Am I? Is that the real me in my writings? Or is that the me that I want to, as B said, 'to showcase'? Which is the real me? Let me tell you - I am all that I write. I am all that I am, that I wish to be. But then - I know who I am; therein lies the secret of my happiness; to top up, you can add a couple of pegs of 'Director's Special Black' Whisky, which is my standard drink when I cannot afford Signature or Single Malts or Irish or Jack Daniels!! You well deserve the celebration with your DS Black Whiskey :) Congrats to K.
mr B - Cheers to the 3 pegs over K!! I never knew you were a whiskey person..and i liked your choices..probably i should catch you someday during the week in alapuzha! Loving oneself, I don't know mr B, I feel everyone sure does..but then is it after knowing themselves, I don't know..I can't understand how the human mind work..probably should read a little..can you suggest me some good simple reads.. I'd have elaborated on the self-love theme; self-love is something that is often misinterpreted - to me, it is the acceptance of oneself.You have no choice but to, uh? There are many undesirable, even despicable elements that I have recognised in me. While I continue to try rectify that, I know might not succeed, but I am content with the fact that I at least admit the handicaps; most people refuse to admit their evil side. If I am able to visit Tierra del Fuego one day, great, but even if I don't, I am happy with my dreams . 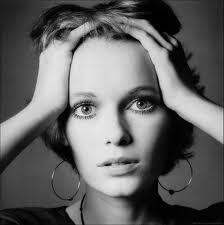 Btw, while looking at pictures of Mia Farrow and Meg Ryan as they are now, I am shocked and move away - old age is terrible and cruel, esp., to women who were so beautiful when they were young! @Ousu: See my earlier posts on Glenlivet or Jameson - I am out and out a Whisky person; but I hasten to add that my drinking habit is so chaste - it is once in a few months! There are no books that can tell you about you; you are the book to read. Perhaps others can show you how to read yourself. With reluctance, I would suggest - Bhagavad Gita, Ramana Maharishi, Kabir, J Krishnamurti - and Ernest Hemingway and Nevil Shute! Because they are good friends, who have influenced me in my journeys of self-discovery. Frankly, there are no guides or self-help books. The best way to learn about yourself is to be alone. Go for long, solitary walks in the Himalayas! I have seen this movie two to three times and do catch it's pieces whenever I find it running on TV. I laughed out really hard at - say that everything is okay, your Big Balan is here to take care of you blah blah blah. Like you identify with Lucy ,for a long time I used to find 'Horton' so much like me (may be you already know that Horton is an animation film). Big congratulation to Balans and best wishes for K's brighter future . Dey, great indeed to know of Kuttappui's fantastic step forward. Is it the DSP desi brand or some reading that you have of late that is the reason , for the much of the assertions in the post? I for one do feel betrayed somewhat that you , even if Lucy/Sandra bowled you over. Can there ever become a Sandra as a Merryl Streep? In fact I was mulling over a piece on Merryl Streep , when you put this post in. There are a lot of what has not been or what could have been in our lives. And in these years in ones life (in the fifties), reflections do bring up such thoughts and realisations. There is an element of loneliness in all , and is it not a game to eclipse that we do much of what we do? Meryl Streep - how many hours have we spent talking about her, about our great admiration for her! Yet, one cannot love a woman just because one admires her. Admiration and respect are essential part of such relationship, yet it is the sense of being wanted, being needed ( which means that by being needed, you yourself is more important in the relationship) that is the acid test of bonding. My take from personal experience! @Kavita: Thanks, Doc! You too would have guessed what Anil did - part of the euphoria is thanks to DSp Black! I am wondering about the similar interest we possess..Whatever ! Sandra Bullock-I love her as one distinct actor from Hollywood.As you rightly said there,it's not about her 'beauty' unlike any other in Hollywood she stands for.The subtle 'behaving' she is into.It's light,it's beauty.And her humor,boy,I am gone for it ! For my 6 year old daughtie,she is the buddy in acting.Since you have scribbled about the 'light' movie that While you were sleeping is,well,light is often mind blowing.One more thing is when you say you have in fact gone for 'LUCY',not for Bullock,that's the honest I heard about her.I don't think she is my type either, as far as 'beauty' is concerned.But there goes the advantage.You quote "lucy".I may add Gracie Heart (Congeniality Series),Margaret Tate (The Proposal), Leigh Anne Tuohy (The Blind Side),Ellen Roark (A Time to Kill) and even for Mary Horowitz,the funny,eccentric crossword puzzle writer in All about Steve.At the end of the day,she is known for the 'character' not for the person she is.The ultimate victory of any actor I believe. I am waiting to watch "Extremely Loud and Incredibly Close",the latest with my another buddy Tom Hanks..
Wow...Great to hear about K ! But for sheer admiration as an actress, for me, nobody comes near Meryl Streep - and that goes back to the days of Kramer vs Kramer and Deer Hunter. On Meryl Streep,definitely one among my favs ever since I been to 'Out of Africa".She is class.And her penetration to such characters are wonderful to watch.Now that this Iron Lady has come,just with the appearance she do half job.But my problem is,well, I can admirably watch her as Julia Child in 'Julie and Julia' where as it was somewhat horrible seeing 'It's complicated'.Coming out of that 'class' doesn't suit her in my opinion.I am assured by seeing few clips that she will be rocking in "Iron Lady".Well that's about her. 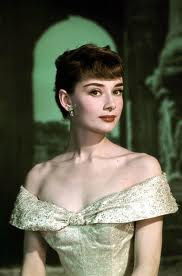 If I follow the 'classy act',Liv Ullmann, Ingrid Thulin, Krystyna Janda ,then it will be her..That's it for me..
Well,the differences make it worth too Balachandran,as long as one is clear to the other.lol. I love sandra bullock too, although my reasons are comletely different than yours ..
reading from your posts I do think you are a lovely human being and I love reading the posts where you ride that enfield and go about to places and then we get to visit them too through your eyes .. I dream of that day too when i can come back to india and get up and just ride to someplace to just SEE..